Oscoda Air Field near Oscoda, Michigan was established in the early 1920s as an aerial gunnery range, providing opportunities to acquaint flyers from Selfridge Air Force Base with the maneuvers required to take off and land their DeHaviland biplanes on the ice of Van Ettan Lake. In 1953 the name Wurtsmith was officially recognized, the name honoring the life of a Michigan native, General Paul B. Wurtsmith, killed when his plane, a B-25, crashed into a North Carolina mountain. 1955 marked the year that the base became a permanent Air Force installation and many new services were implemented. Delivery of the B-52H to operational units began on May 9, 1961 when the 379th Bombardment Wing at Wurtsmith AFB in Michigan received its first aircraft. Delivery of the B-52 operational bomber named "State of Michigan" marked the redesignation to the base from and fighter-interceptor training base to the Strategic Air Command and its long range B-52's, which played an important part in "Desert Storm", in the Persian Gulf. 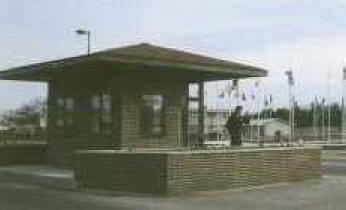 In November 1989, the Air Force announced the selection of seven bases to house Peacekeeper Rail Garrison. The Main Operating Base would be F.E. Warren AFB, Wyoming, and the other six bases were Barksdale AFB, Louisiana; Little Rock AFB, Arkansas; Grand Forks AFB, North Dakota; Dyess AFB, Texas; Wurtsmith AFB, Michigan; and Fairchild AFB, Washington. December 1992 was the date established for delivery of the first asset. The program was terminated in 1991. Wurtsmith AFB, MI, was slated for closure under BRAC 91, having determined that the country did not need the number of bases which they were supporting due to new weapons development and long-range satellite surveillance, with a closure date of 30 June 1993. 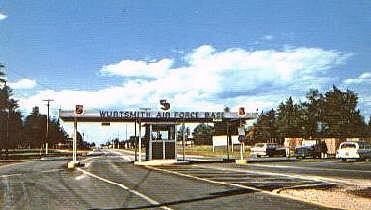 Wurtsmith AFB was deemed one of the unnecessary military bases around the United States and was closed. The Wurtsmith Base Conversion Authority (WBCA) was initially the Redevelopment Authority. The WBCA terminated September 30, 1994, and the Township of Oscoda became the the Redevelopment Authority effective October 1, 1994). The National Environmental Technology Test Sites (NETTS) Program, sponsored by the Strategic Environmental Research and Development Program (SERDP) , is an environmental technology testing and evaluation program that provides locations, facilities, and support for applied research demonstration, and evaluation of innovative cleanup and characterization technologies that are candidates for Installation Restoration efforts at DoD facilities. The National Center for Integrated Bioremediation Research and Development at Wurtsmith AFB, controlled field test-bed facility for investigations to support the design and engineering of integrated bioremediation systems. This project focuses on in situ bioremediation of surface soils, and other organic substances.